Pickled chile peppers are delightfully spicy foods that boost the flavor of a dish. They give a great sour and spicy taste after being pickled. You can pickle any peppers from hot habaneros to sweet bell peppers and everything in between. They are great for topping sandwiches, salads, and meat dishes. 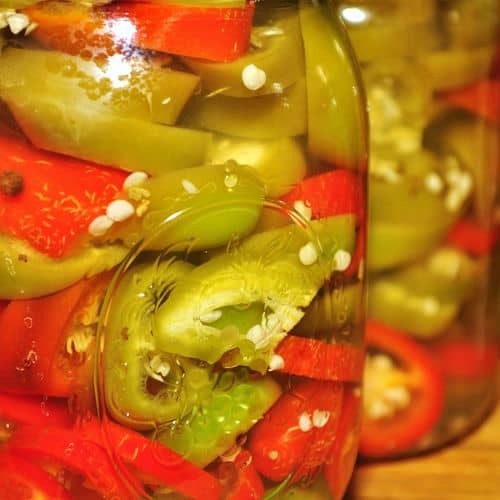 Pickling chile peppers uses a similar process as pickling cucumbers. You can pickle pepper whole, in strips, or in slices. You can also roast the peppers briefly and remove the skin before pickling them. Once you've prepared them and any additional ingredients you will be adding such as onion, garlic, or herbs add them to jars. Remove the pickling solution from the heat and pour it into the jars filled with chile peppers. Leave about 1/2" at the top of the jar. Seal the jars. If you are canning the chile peppers you now process the jars in a water bath for 15 to 30 minutes, depending on the size of the jars. Once the jars are processed they can be stored in the cabinet for up to a year. 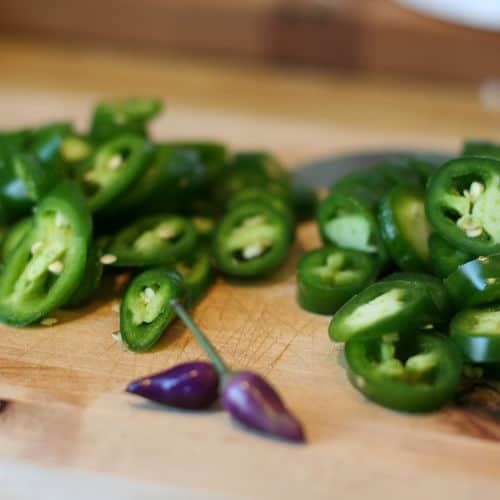 The pickled chile peppers will typically be ready to eat after a day but the longer they remain in the liquid the more flavorful they will become.